On Friday 3 March, Henrietta Moore, Director of the Institute for Global Prosperity at University College London, delivered a talk on achieving prosperity for Africa. Francesco Giacomini reflects on the lecture. 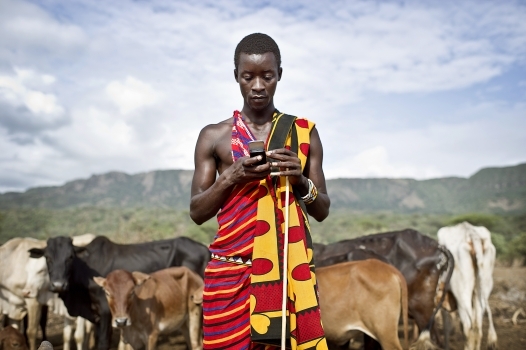 Countries like Kenya have a faster mobile internet network than the USA today. Our story starts in Senegal. In 2014, President Macky Sall, declared that Africa is the land of opportunity for investments. He was right. Africa has since experienced massive inflows of foreign investments. Although there is still a long way to go, one could argue that thanks to foreign investments, things have finally started working in African countries too. Despite the foreign investments, the Senegalese fishermen community struggle. Whereas the West African sea is one of the most abundant in the world, revenue for local fishermen begins to decrease. Fishermen have contested President Sall that by attracting foreign firms, he forgot about the locals. The result is that today foreign commercial vessels have left only the crumbs for local fishermen. The depleting numbers of fish stocks also brings into question the sustainability of the industry. Can we call this path to development a success? With this “Sailor’s Tale”, Henrietta Moore began her lecture. During the first part of the lecture, Ms Moore focused particularly on economic measurement like GDP. Her main argument was that GDP has become an end in itself, not a means anymore. She pointed out that we should shift our attention from “how much did this country’s economy grow?” to “how can we produce prosperity for everyone?”. An aggregate index that focuses more on social and environmental indicators, like the SPI, seems more likely to measure the later. After this consideration, one could legitimately ask: shall we expect development in Africa to follow the same (polluted) path that we have witnessed in the Global North? Whereas some would say that certain steps of industrialisation are inevitable, we need to consider that the world has been rapidly changing and certain economic trajectories could be out of date. This is particularly true for African countries, due to climate change and the high rate of population growth. Continuing down this will inevitably create massive problems: high inequality between rural and urban areas; rising informal sector to survive in cities; indiscriminate of use of concrete to make new buildings and infrastructure; and shortages of basic resources due to environmental damage. Urbanisation in Africa has become surreal. As reported by Ms Moore, some African cities are now already more expensive that NYC. A striking fact. Where is Africa heading then? Today’s energy cost in Africa’s poorest households is nearly ten times the price of that equivalent in the USA. Although this could seem like significant market failure, it could be transformed in an incredible occasion. Africa has no choice but to bridge the energy gap. The hope is that Africa will be the future global leader in producing low carbon emission energy. Paradoxically, climate change could be the main opportunity to move away from the current unsustainable growth model; an energetic “leapfrog” that could bring Africa to be the global leader in R&D for renewable energies and local power grids in rural areas. Data has also been moving at lightning speed in Africa. Countries like Kenya have a faster mobile internet network than the USA today. This has helped to increase local agriculture productivity through apps like iCOW. The idea is simple: ICT applied to agriculture, sharing economy and green energy could actually help Africa to “leapfrog” the old fashion, polluted industrialisation processes and produce enough food and electric power that Africa desperately needs. Africa will be hit the hardest by climate change. A new model of development that can bring prosperity and not just “growth” is what we all need. Africa first. This is not an option, it is necessary. It is the end of growth as we know it. Francesco Giacomini is a Msc in Political Economy of Late Development. He moved from Italy to London in 2007 and worked for several years in companies related to food and commodities, particularly coffee. He is an avid traveller and explorer of developing countries. In 2016 he hitch-hiked Across the Americas for nearly a year as a solo traveller (Mexico–>Argentina). His academic interests include monetary policies, alternative economic models and environmental policies. He will never say no to ice-cream. This talk was part of the Cutting Edge in Development series, hosted by the Department of International Development.